The Volkswagen Type 1, more commonly and affectionately known as the VW "Beetle," was born three quarters of a century ago in 1938, rendering it the longest-running and most-manufactured car of a single platform in automotive history when its production came to an end in 2003. Its unique styling and huge influence in pop culture have lead it to become one of the most iconic cars in history - fitting for a brand who's name directly translates to the "people's car." In 1997 came the introduction of the "New Beetle," a car that, while it was successful in its own ways, should have been relegated to the likes of a Barbie and Ken toy and little more. Its styling harked to the original while maintaining an updated aesthetic and curves that modernized it for a modern generation. Hit or miss, I suppose. Despite my own disdain for the car, others loved it - it received an impressive production run of twelve years, which resulted in its own aftermarket and cult following. 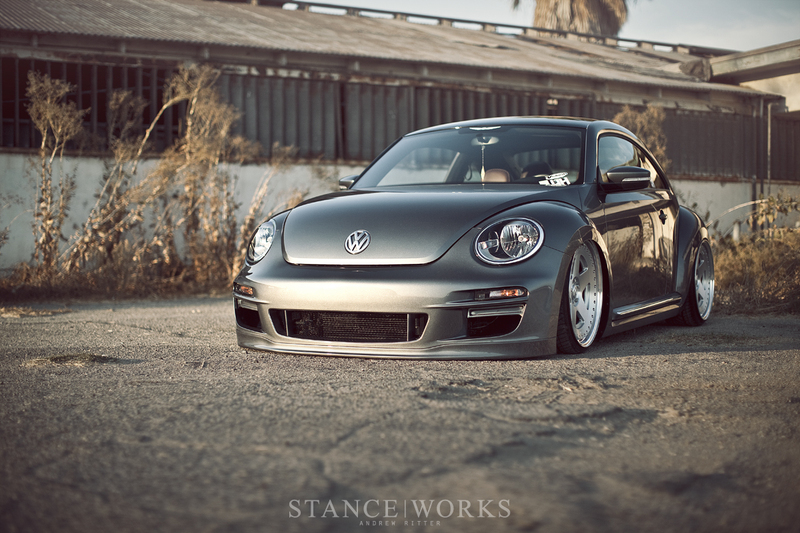 Today, the essence of the Type 1 continues with Volkswagen's latest iteration, the 2011 A5-Chassis Beetle. A redesign gave the car styling that was aimed at moving away from the "New Beetle" and geared more towards the Type 1's original proportions, and frankly, Volkswagen nailed it. It's hard to admit, but I actually like the latest Beetle. But, as with any car, there's much room for improvement, which is where our historical endeavor takes a long flight from Germany to Japan. Enter Akiyasu Ikeda, a Japanese mechanic-turned-salesman whom set out to create a brand and style all his own. Ikeda-san was born with a fascination for cars: childhood trips to Tomita Auto, known now as the legendary powerhouse Tommy Kaira, only helped solidify his future. After graduating high school, he began working for a subdivision of Tomita as a full-time wrench. After years as a mechanic, he received the opportunity to lead sales at Tomita Auto for Hartge, the renowned and acclaimed BMW tuner. In 1987, Ikeda-san was recruited as one of the founders of the Carving wheel brand, known for classics in the car scene such as Carving Heads 40s and Carving Starks. 14 years later when Carving's doors finally closed, Ikeda-san moved on to create his own brand - Newing. 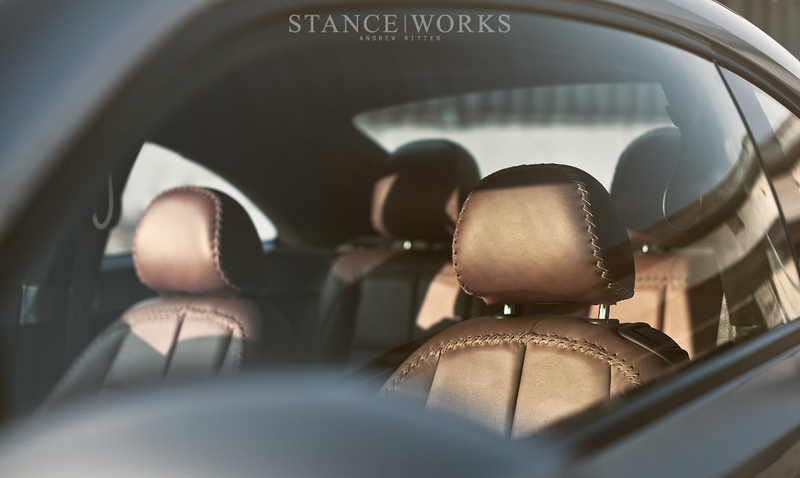 Newing opened its flaship store in Hyogo, Japan in 2005 with the launch of his now-acclaimed upholstery division, with massive clients such as Auto Veloce, Liberty Walk, and others. By 2008, Ikeda-san had started his automotive sales division for importation and distribution of complete Newing edition vehicles. Specifically, Audis and Volkswagens. Ikeda-san himself has a bit of a thing for VW's latest Beetle, which brings us to 2013, Jay Johnston, and the United States of America. Jay Johnston has an immensely broad taste in cars - in his driveway alone I found namesakes that ran from Ford and Buick to Audi and Smart. Even a Maserati graced the pack. 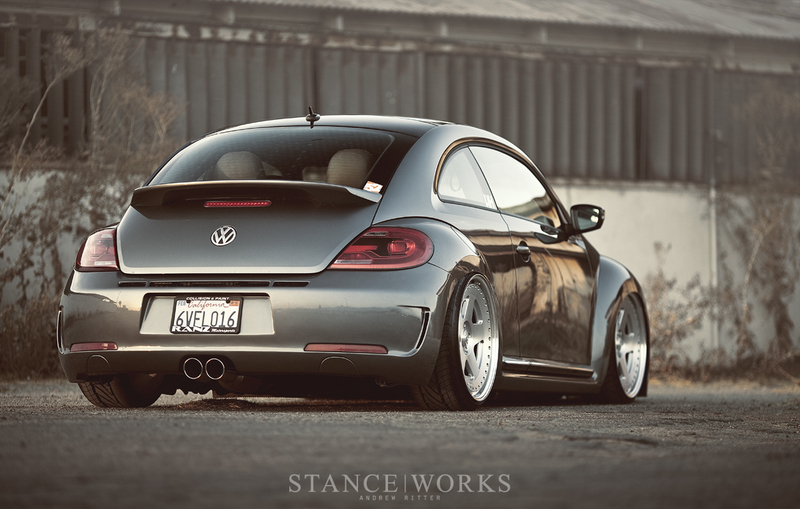 Yet somehow, Jay too found something special about Volkswagen's most recent iteration of the iconic Beetle. Shortly after their release, Jay bought his own. As an avid auto enthusiast and builder himself, Jay wasted no time getting right to work on the car, pulling inspiration directly from the classics. It's hard to argue that the air-cooled generation didn't look its best laying flat on the ground, so Jay did what comes naturally. 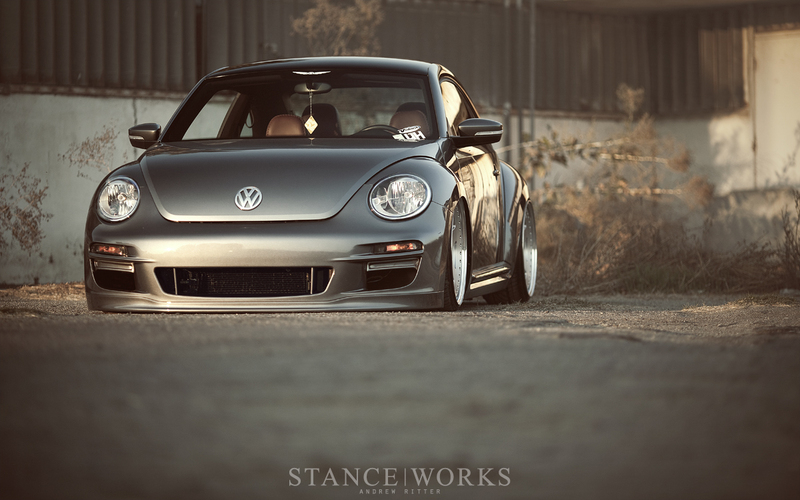 Air Lift Performance series front struts and an Air Lift twist-beam bag kit in the rear bring the Beetle down to a much more preferred height, with Autopilot V2 management keeping everything in the 21st century. Tucked into the hunkered fenders is a set of Fifteen52 Tarmac TRs in face-mounted 3-piece guise, featuring brushed faces and polished lips, which contribute perfectly to Jay's monochromatic exterior theme. 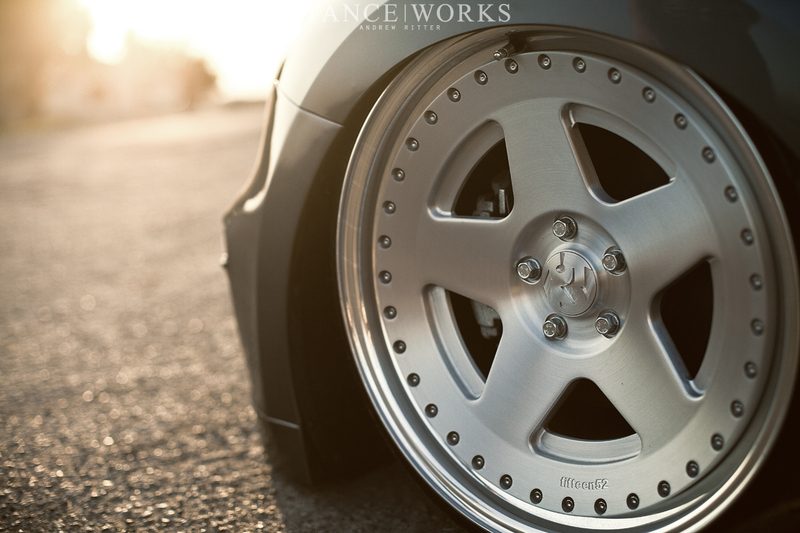 While others insisted Jay run 19s, he insisted on 20s - a perfect choice. 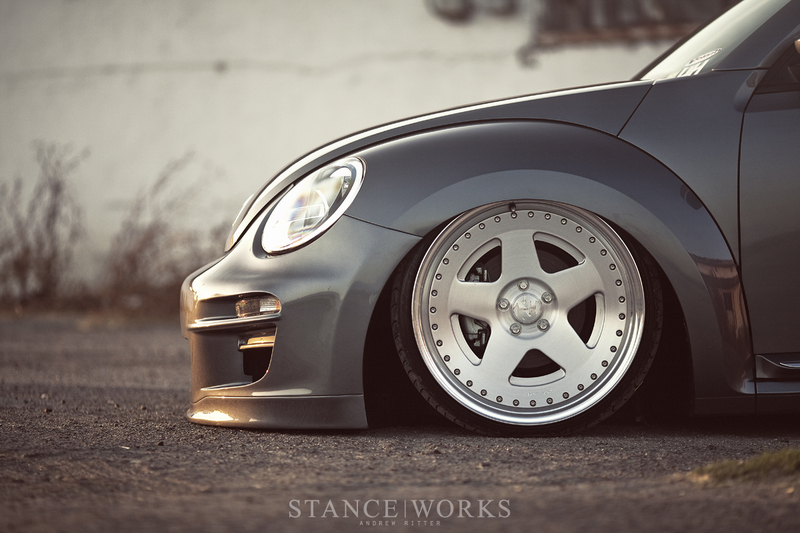 To finish off the wheel and tire package, a set of 20" low-pro Nitto Neogens connect everything to the asphalt, and paired with the Air Lift Performance suspension, the Neogens give plenty of grip for the Beetle in the turns. Sitting pretty wasn't quite enough for Jay in the scope of his build; the car needed to be taken a step further. That's when Jay enlisted the help of MasterMind to bring one of Ikeda-san's Newing Alpil kits over from Japan, bringing our story full-circle. The Alpil kit sits in a league of its own, drawing influence heavily from the Porsche GT3, yet somehow seamlessly transforming it into a kit that seems right at home of the face of the Volkswagen. Insert "that's because 911s and Beetles are the same" jokes here. The same special touch goes for the tail end, creating an overall aesthetic that could be factory - and that's what Ikeda-san and Newing are after with the Alpil brand. While the Alpil front lip rests flush with the ground, the rear end sits almost ready to pounce with a tail-up spoiler to complete the look. Side-skirts complete the exterior aesthetic and a center exhaust brings back just enough classic and old-school flavor. 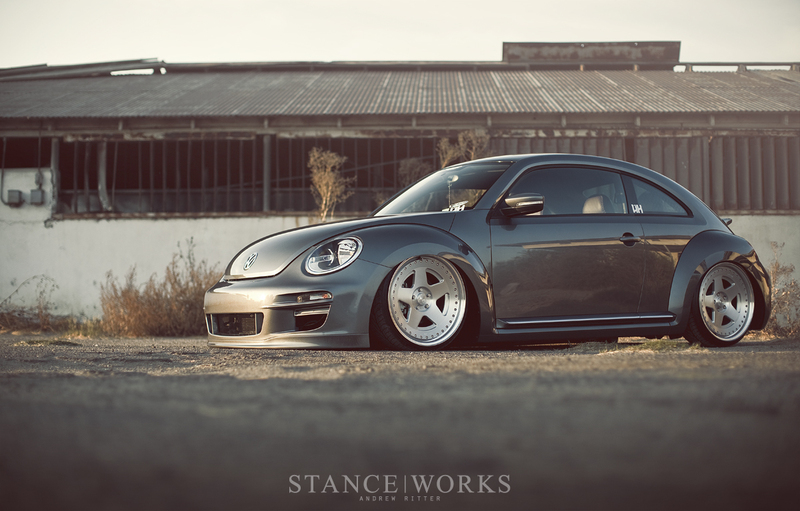 In all, Jay has pulled off a style that has helped solidify the latest Beetle's aesthetic as something a bit more stout than a chick's car. Inside, Jay reluctantly opted for a baseball-glove styled interior at the suggestion of Matt Crooke of Fifteen52, however, Jay is happy to admit that it was the perfect choice. 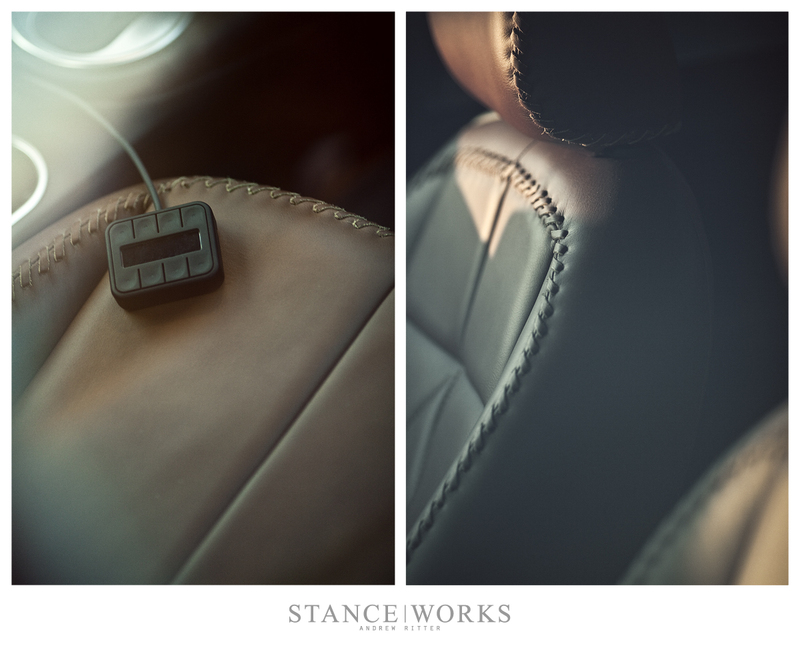 Rich and deep brown leather brings the only splash of color to an otherwise colorless build, which seems to be the standard for Jay's garage. "Everything I own gets painted gray at some point or another." 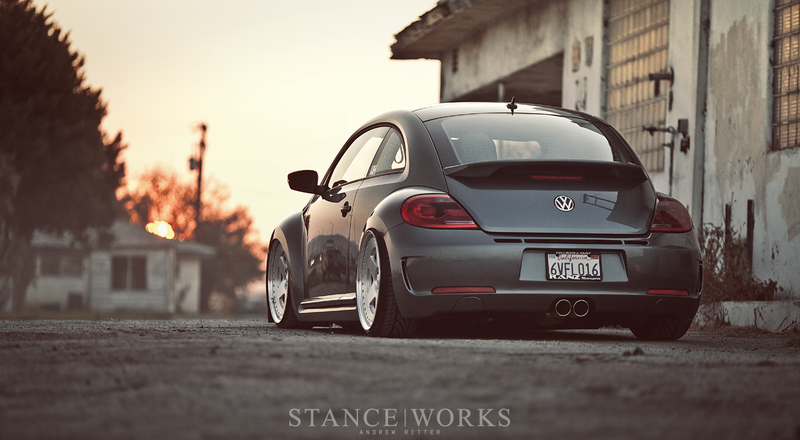 A load of simple touches here and there complete the package for a Beetle that stands entirely on its own. 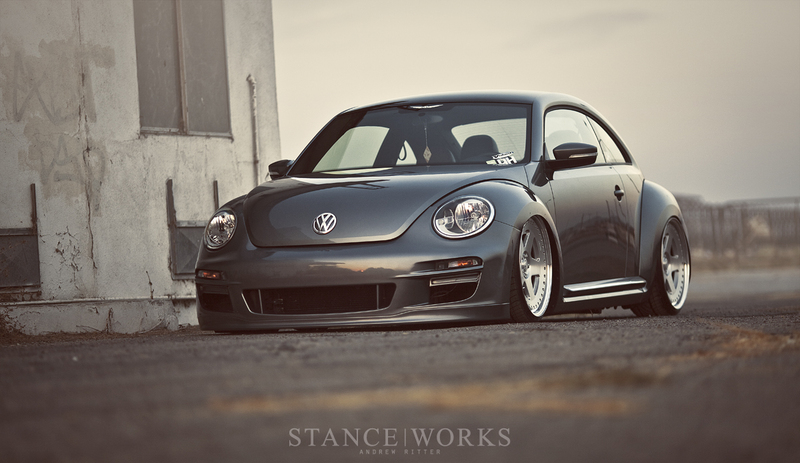 While the Beetle as a whole is still largely hit-or-miss amongst enthusiasts, often falling at one end of "that's a girls car" and "I wouldn't drive anything but a Bug," Jay's build is sure to blur the lines and fall somewhere in between. where can you buy Newing kits in North America?